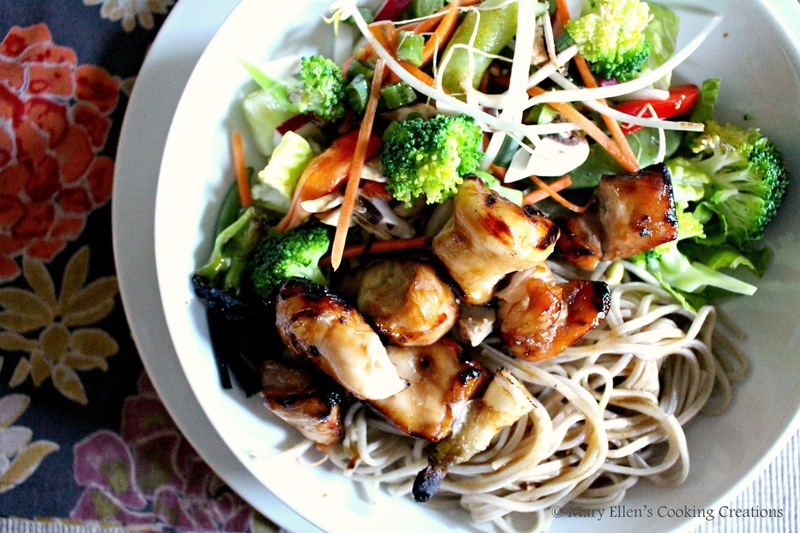 Grilled chicken with a cold salad has become a staple in our house during the hot weather. 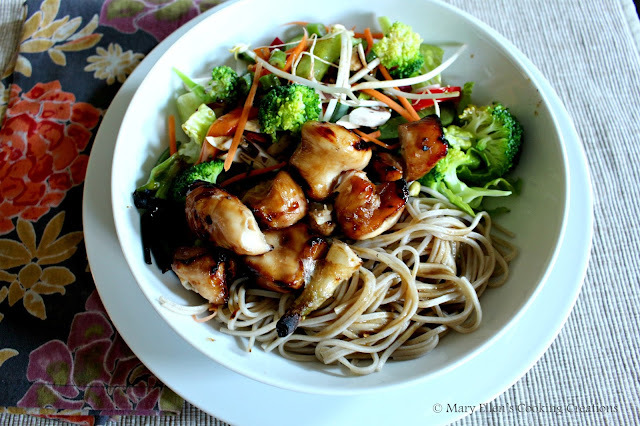 We have made a lot of variations of this meal, and our most recent may just be one of my favorites - Yakitori chicken over a cold veggie and soba noodle salad with a hoisin-soy dressing. 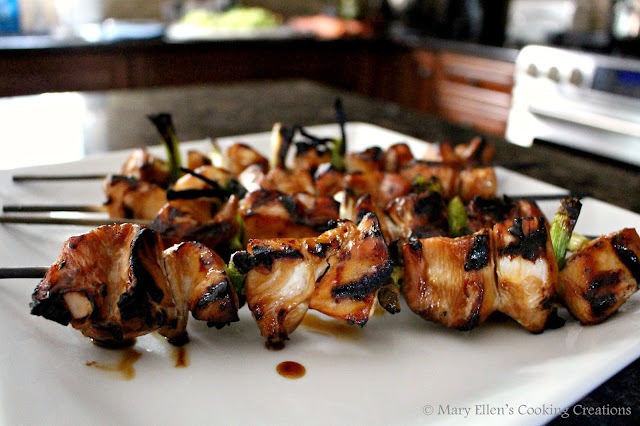 Yakitori chicken is a grilled and skewered chicken and is so simple, with only three ingredients in the marinade. Since the chicken is in chunks and skewered, it cooks faster than a large breast. You also get a lot of great caramelized bits from the sugar in the marinade. Once the chicken is cooked, everyone can put together their own bowl. While my husband skipped the noodles (he has been so good about avoiding carbs most nights! 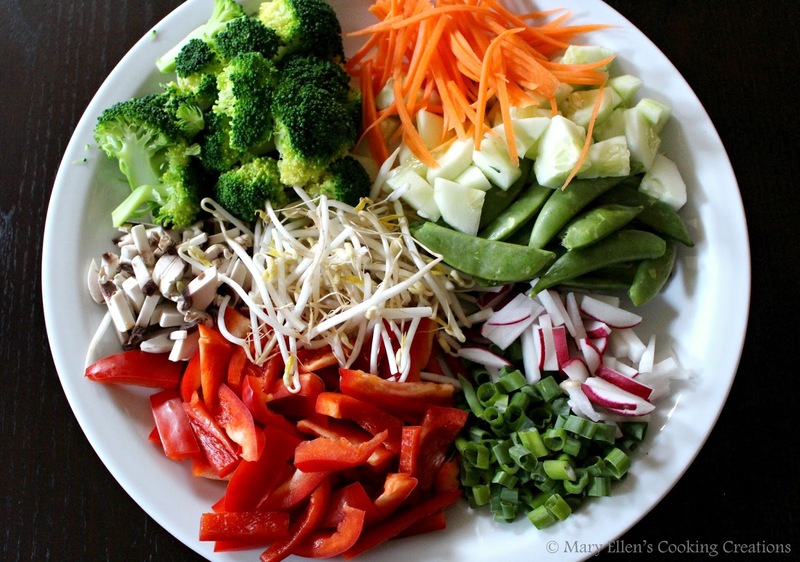 I don't have his will power..), I filled my bowl with all of the veggies and some noodles. And of course my daughter could not turn down pasta. The dressing was sweet and savory and tied everything together without masking the amazing flavor from the Yakitori marinade. Again, a great weeknight meal that comes together quickly, especially if you do some prep ahead of time. Mix the marinade ingredients together and pour them over the chicken in a shallow dish. Cover and refrigerate at least 2 hours. Soak your skewers in water for 20 minutes before you are ready to cook. Put your chicken on skewers with green onions between every 2 cubes of chicken. Grill until done (internal temp of 165). 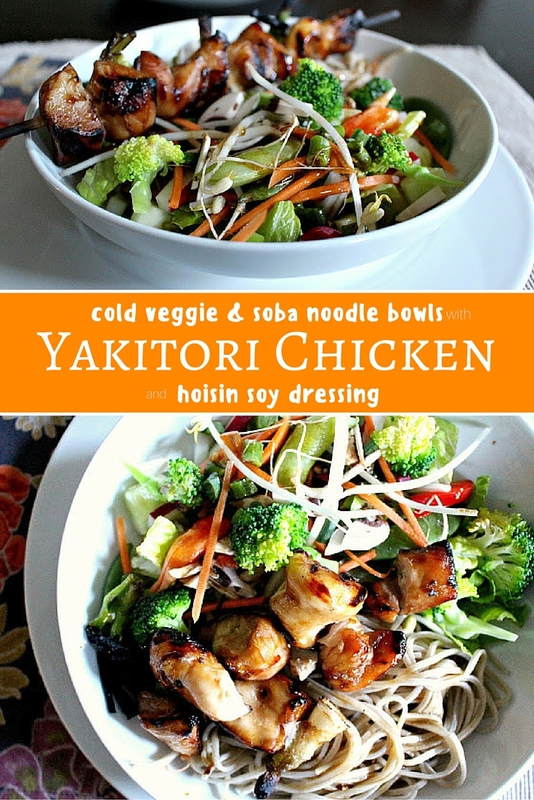 Put noodles in one side of a bowl and create your salad on the other. Top with the dressing and grilled chicken. My stomach is GROWLING just looking at these pics. 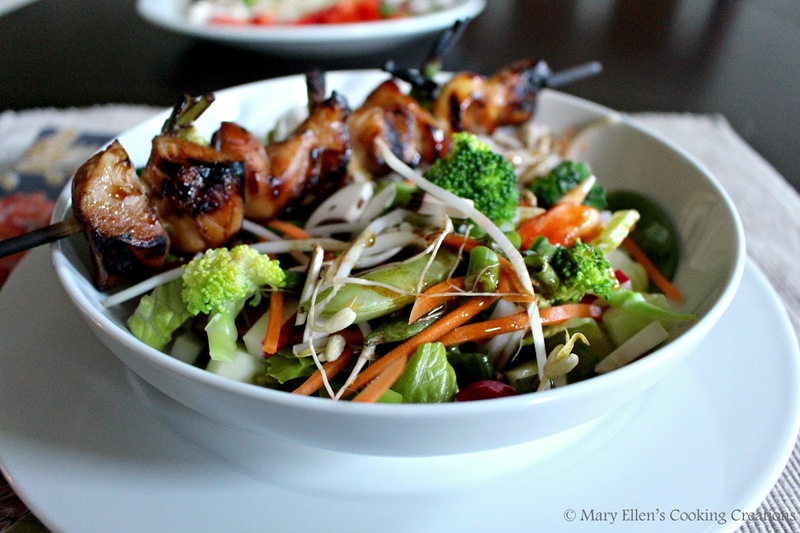 Looks super yummy, Mary Ellen! !